Effective cleansing can prevent breakouts, inflammation, and even dryness. There's nothing like removing your makeup and letting your skin breathe after a long and tiring day. Cleansing is the most important step in our skincare routine—it gets rid of all the gunk and grime that accumulated during the day and helps your skin absorb other skincare products better. So it’s crucial to know what you’re cleansing your face with. Below, what to look for in a makeup remover to maximize its benefits. If you're trying to get rid of stubborn waterproof makeup, look for a cream-based cleanser with olive oil. It helps break down your makeup by attaching its molecules to other oil-based products. It’s even great for oily skin for effectively removing makeup without making your face feel like an oil slick. If you have acne-prone skin, olive oil is perfect for you since it is said to be non-greasy and antibacterial. A natural astringent, witch hazel is great at removing excess oil and dirt from your skin. You’ll find that cleansers formulated with witch hazel can remove both oil- and water-based makeup really well, and even keep your pores free of any buildup. If you're going to be rubbing cotton pads across your face, look for a water-based cleanser that has cucumber extract. 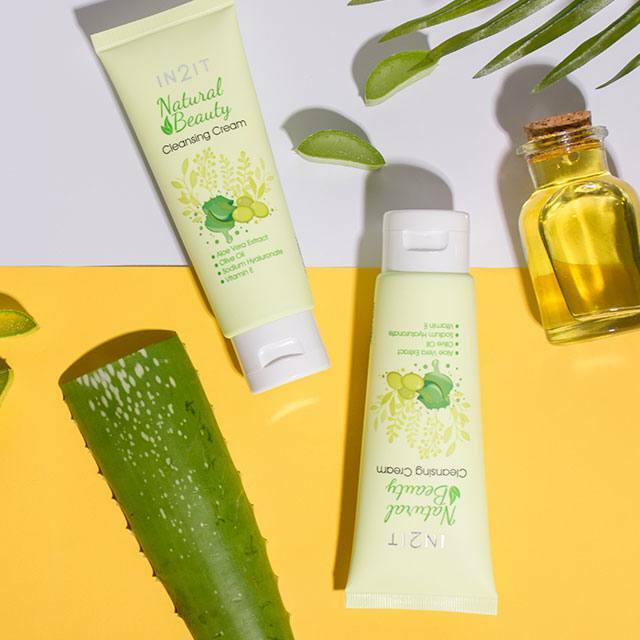 While the cleansing water effectively removes makeup and oil build-up, the anti-inflammatory properties of cucumber help calm your skin after a vigorous cleanse. This ingredient also hydrates the skin and retains the right amount of moisture, making cleansers infused with it a good option for those with dry skin. This desert-dwelling plant knows a thing or two about keeping your moisture levels in check. Clear aloe vera gel cools the skin and aids in healing inflammation. Gentle and soothing, it’s perfect for removing makeup around the eyes. A well-known antioxidant, vitamin E helps keep your skin young by repairing the damage done by pollution, sun exposure, and wearing your makeup longer than you should. Not only do cleansers with vitamin E break down heavy, waterproof makeup, they also impart this skin-loving ingredient onto your face. If you have normal skin, an oil-based cleanser with vitamin E gives your face a little extra love when it comes to removing makeup. 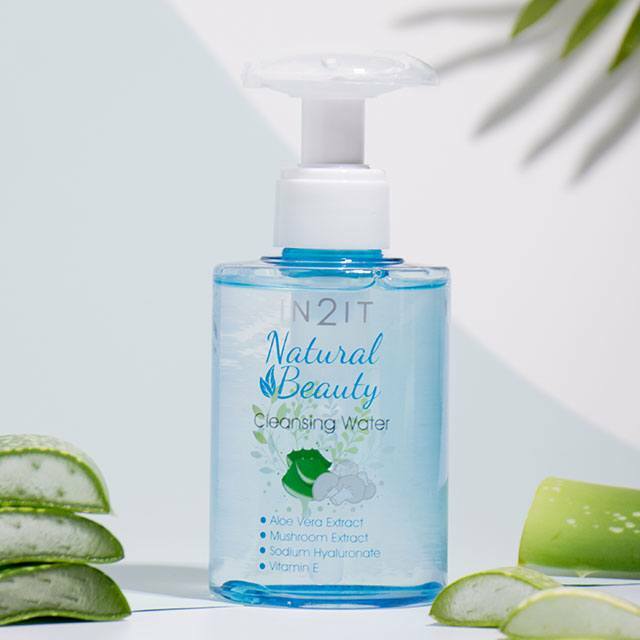 If you're looking for a cleansing product that has all five ingredients (and more), then check out IN2IT's Natural Beauty range of makeup removers. 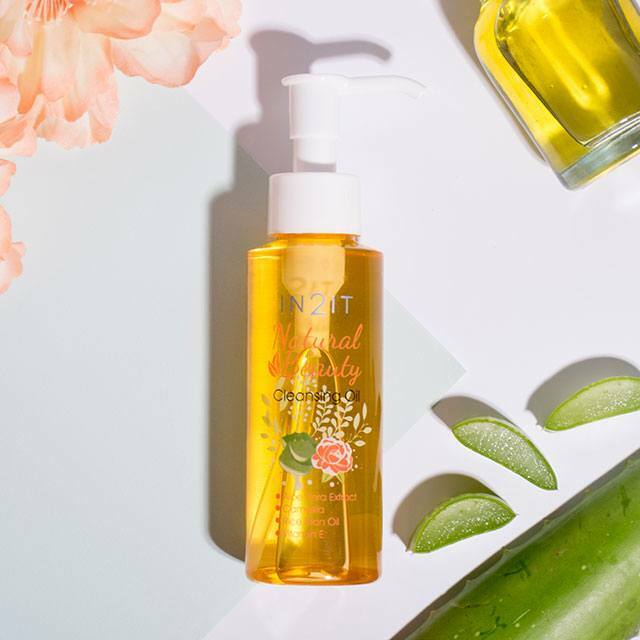 The new line has all kinds of cleansers that you can use for any occasion or makeup look—each cleanser is enriched with natural skin moisturizers that not only effectively remove makeup, but also nourish your skin with each use. To know more about IN2IT's Natural Beauty makeup removers, follow the brand's Facebook page or check out their website at www.in2it.com.ph.